It's an exciting moment in K-12 education. Many school communities want to prepare their students for the fast-changing world but are discovering how hard transforming schools can be. The truth is, leading this kind of change is challenging. NGLC provides customized guidance and deep learning experiences to help your community solve this challenge. NGLC helps educators and community members create new designs for learning in their schools. New designs for learning are not static, cookie-cutter, off-the-shelf recipes. They must be responsive to the ongoing, accelerating change in social, economic, and technology conditions. They must reflect an ever-deepening understanding about learning and learners. And they must draw upon the assets, strengths, and needs of your community. NGLC consulting can help you build internal capacity, engage your community, and create enabling and equitable systems so that your new designs for learning lead to meaningful and lasting impact. Thank you for contacting NGLC about our consulting services! Your message has been sent, and someone from our team will be in touch soon. View 12 of the more than 130 MyWays Learning Outcomes, an essential tool we use to support schools’ learning redesigns. Thank you! You may now download The MyWays Learning Outcomes: A Preview to sample this valuable tool available through NGLC Services. The NGLC MyWays Student Success Framework, a set of 20 competencies organized around four domains of learning based on a comprehensive study of learning science, workforce development and 21st century jobs, and youth development. MyWays also offers learning and assessment designs aligned to this new definition of success. The nationally-recognized, innovative practices developed and refined by leading educators in next gen schools across the U.S. From curriculum and instruction to resource allocation to professional learning and change management, we bring seven years of lessons learned to your doorstep. These resources, combined with NGLC's expertise, enable you to be bold. As your thought partner, you might call upon us to ask challenging questions to push your design, connect you to other schools and organizations with expertise related to your most pressing needs, offer advice on common challenges and wicked problems, provide concrete recommendations for leading change in your community, or help you map out the next steps in your journey. Use this toolkit to set your goals for next gen learning and the pathway to change that best fits your community and students. Thank you! 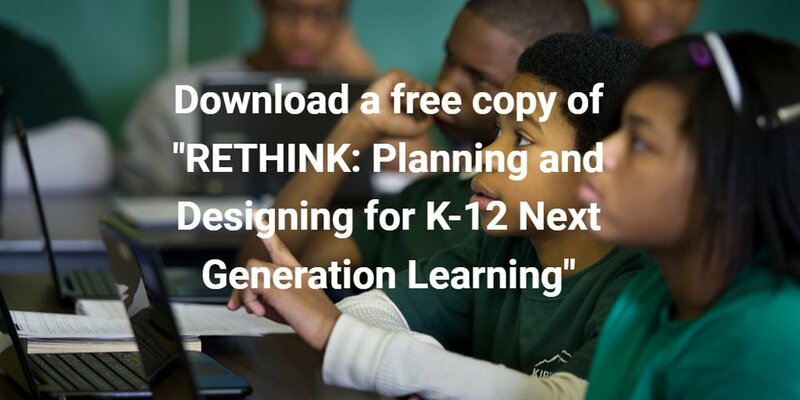 You may now download RETHINK: Planning and Designing for K-12 Next Generation Learning from NGLC and iNACOL to map out your own pathway to change that best fits your community and students. The success of any change effort depends upon creating the environment and the opportunity for everyone in the system to do their best possible work. We will help you develop the talent within your community to support your shift toward equitable next gen learning. While our library of professional learning workshops is growing, we currently offer facilitated workshops on redefining student success for teams of courageous district staff, school leaders, instructional coaches, and teacher-leaders. Our base half-day workshop, "Challenges and Opportunities for a Changing World" may be matched with additional modules depending on your teams' needs and interests. These modules may be presented in a single workshop, a multi-day training, or a year-long experience with virtual touchpoints between modules. These design principles guide our consulting practice. Networks for Learning. Our consulting practice relies upon the expertise of educators within the NGLC network who are national leaders in next gen learning design and implementation. We apply their lessons learned and years of hard-earned advice to your goals, and seek opportunities to create purposeful, direct connections to next gen learning leaders whenever possible. Community-based Design. We engage in school and learning design that is local, grounded in the needs and assets of your community, and created and owned by the educators, students, families, and other members of your community. We encourage authentic and equitable community engagement at every step. Designing for Equity. Equity and inclusiveness are at the heart of our work, intentionally woven into the consulting engagement and in the new learning designs in your schools. Our consulting approaches and design processes acknowledge the inequities that persist in the nation’s public education system and the potential for our own biases and practices to perpetuate these inequities. We respond by asking questions, inviting multiple voices, and addressing bias and oppression as they become known. Learning Mindset. 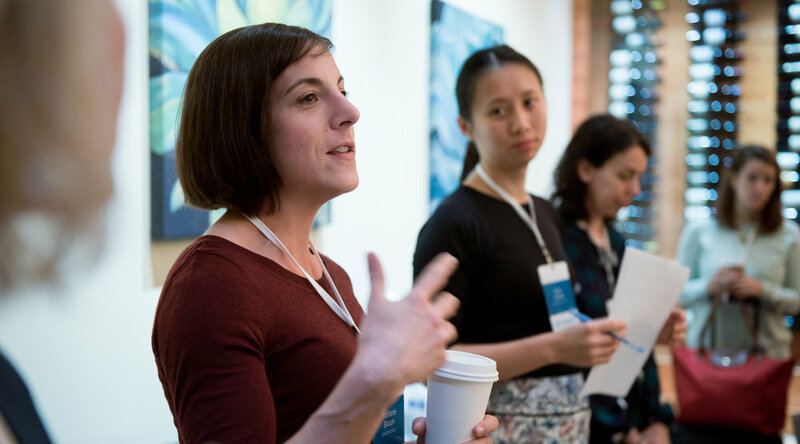 We are a learning organization and work with communities that commit to a learning mindset: an openness to new ideas, a vulnerability to make mistakes, and an invitation to include all voices. The consulting engagement is itself a professional learning experience and mirrors the kind of learning we want for students. Next Gen School Design. We are committed to bold, new ideas for school and learning designs that continuously respond to changing conditions in our world. Design principles for next gen schools keep students at the center, focus on equity, hold high expectations for students and adults, respond to the "agency" of both students and adults who are in charge of their own learning and development, recognize that learning is a social endeavor, and support real-world learning through direct hands-on experiences.